Is honey a wonderfood that can be eaten without guilt because of its health benefits? Since so many of my patients have sweet tooths and I am always asked about alternatives to sugar, I decided to do a quick literature search on the medicinal uses of honey. The use of honey as an antibacterial used for wound care had the most articles and there are some cautions regarding the source, the impurities and the processing of honey. It is clear that honey has antibacterial and anti-inflammatory properties when applied locally. Here are some excerpts for the uses in wound care. 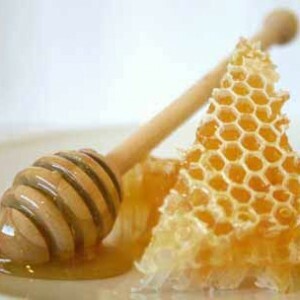 • Honey has antibiotic properties and was used successfully to treat diabetic foot ulcers. It is an inexpensive, moist dressing with antibacterial and tissue healing properties. • One study showed honey was effective in treating mouth ulcers that occurred after chemotherapy. • It is being used to treat antibiotic resistant bacteria in wounds. • Honey added to oral rehydration solutions promoted rehydration of the body and sped recovery from vomiting and diarrhea. • Honey can raise blood sugar and hemoglobin A1C levels in diabetics and can contain spores that cause botulism in infants. While a quick search of the medical literature showed some benefits, keep in mind that honey, like any sweetener, can raise blood sugar and should be used in moderation. In its raw, unprocessed form, it has a lot of nutrients. So enjoy a little honey; it is so sweet!